Two Rhys Marshall headed goals have Glenavon 2-0 up at half time. 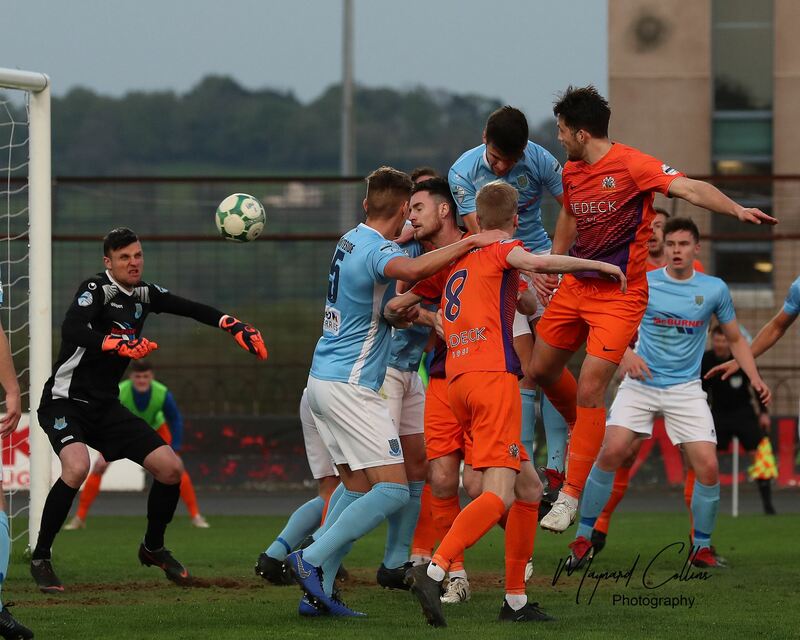 The first goal came on 35 minutes when he rose high in the 6 yard box to head in Stephen Murray’s cross after Stute keeper Martin Gallagher couldn’t hold Andy Hall’s free kick. Murray picked up the loose ball and returned the ball into the goal mouth from the left side of the box. 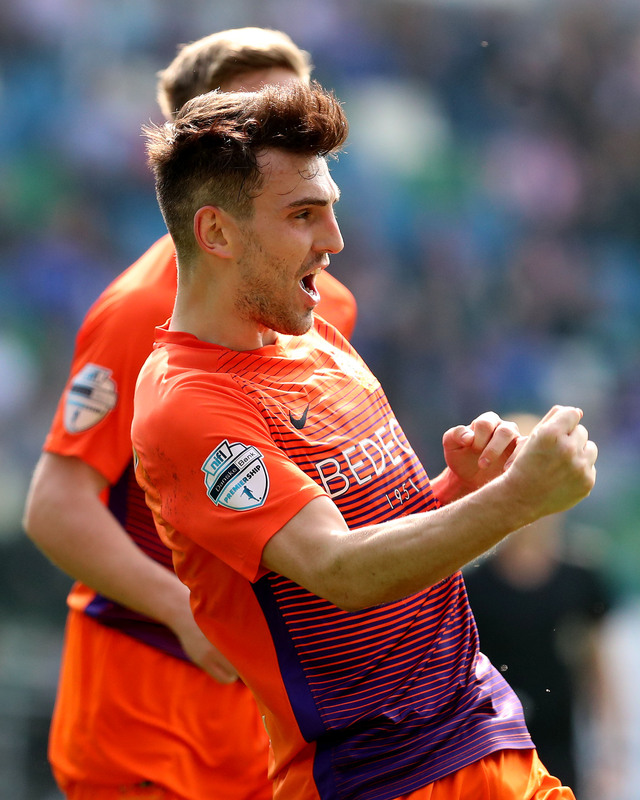 The second goal came two minutes before the break. Andrew Mitchell’s inswinging corner from the right was half cleared to Daniel Larmour, making his league debut in the absence of the injured Caolan Marron, and returned the ball to the striker who sent in a super right foot cross that Marshall glanced beyond Gallagher to double the lead. Ten minutes into the second half Stute pulled a goal back following a poor decision by Jonny Tuffey to come way out of his box to head the ball which only ended up at the feet of Stephen Curry. 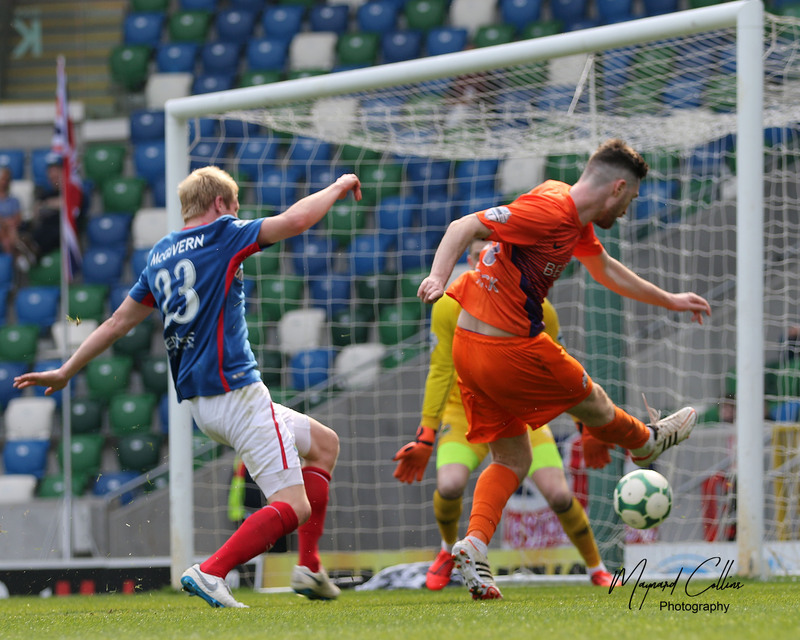 Although he was wide on the right wing and just inside the Glenavon half he took a touch and found the net with a looping shot as Tuffey tried in vain to get back. 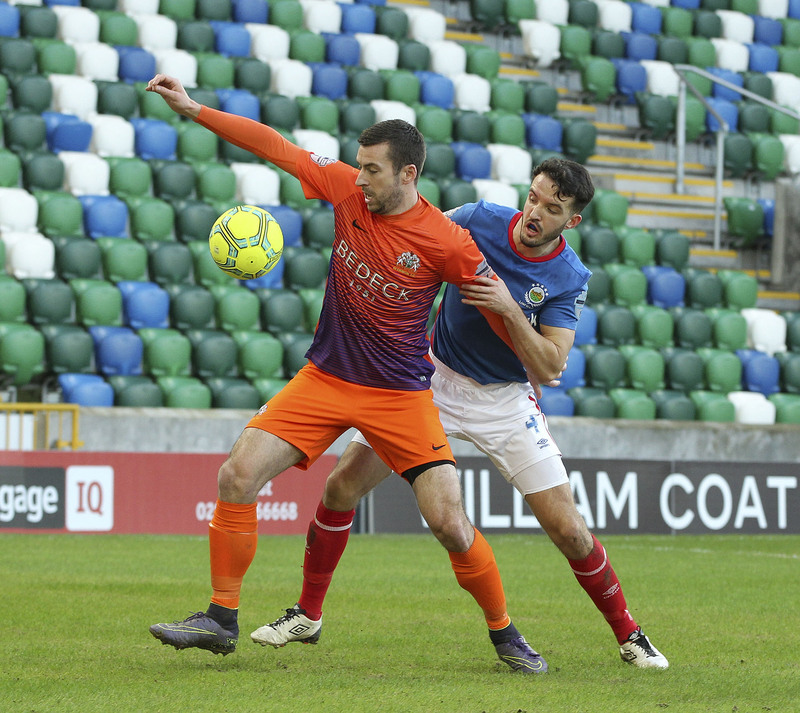 Glenavon’s confidence seemed to ebb away and the visitors were level four minutes later when ace-marksman Michael McCrudden fired into the roof of the net from close range. 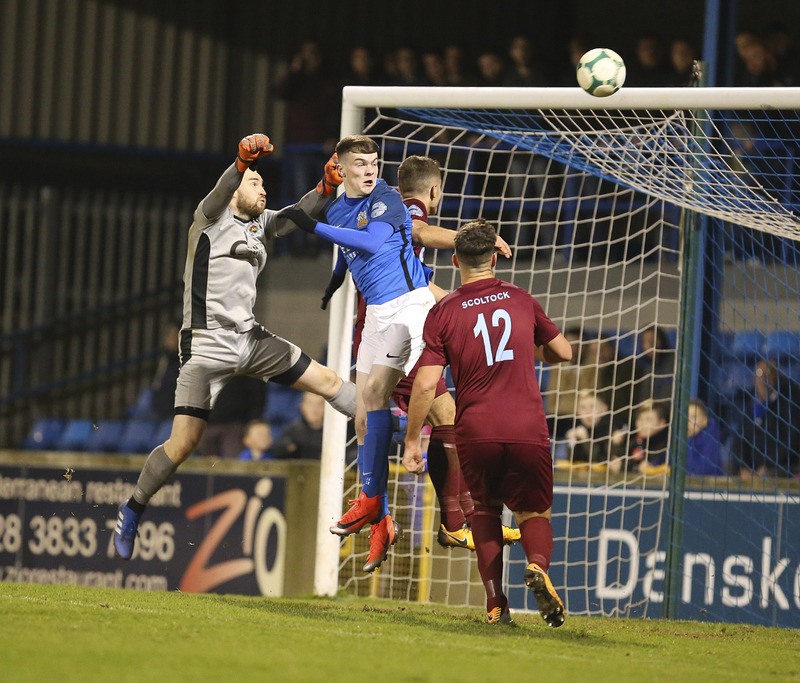 It got worse for Glenavon in the 67th minute when a clever back-heel by McCrudden sent Rohan Doherty clear and, though his shot was well-saved by Tuffey, the ball eventually fell to Colm McLoughlin who saw his shot deflect over the Glenavon keeper to put the visitors in front for the first time. 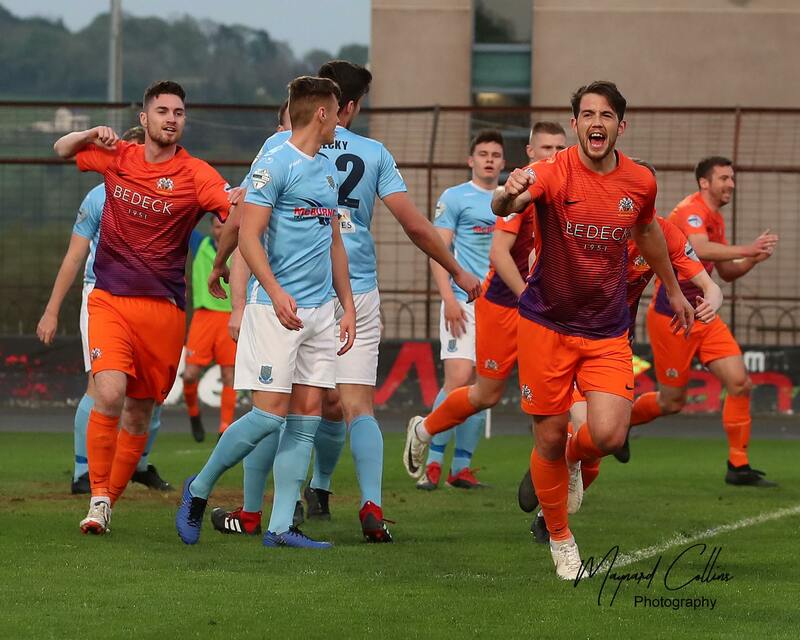 Andrew Mitchell equalised with 12 minutes left and Jordan Jenkins headed Andy Hall’s cross onto the bar but the major talking point came in the 84th minute when it appeared Glenavon were denied a stone-wall penalty as both Mitchell and James Singleton were dragged down.